Yearly maintenance on homes today usually includes standard projects like a look at the water heater, a roof inspection, and a professional carpet cleaning, but it's not uncommon to forget about the gutters. 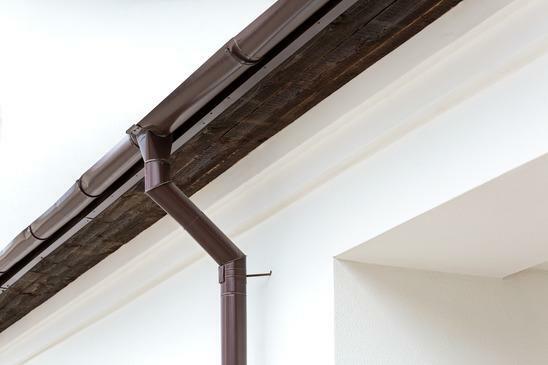 Although their purpose might seem simple, gutters provide a vital service to any house on which they're installed. Ignoring gutter problems and ignoring the need for gutter replacement may lead to flooded basements, soggy roofs, and ankle-deep water pooled at the base of your home. Rain might seem harmless when it's falling on the roof, but if gutters aren't installed or functioning to carry the water away from the home, significant structural damage may result over time. A failed gutter often means that damage has spread; repairs will be extensive, maybe complicated, and probably expensive. A well-restored gutter, however, faithfully inspected and maintained, should require no major repairs for some years. It's a simple job to take a look at the exterior of your home to see if anything looks worn out, but the gutters won't always make it obvious that something's wrong. The leaves that clog the gutters in the fall might not be visible from the ground. The obstruction means that each time it rains the water may slide along the walls of the home and into the foundation, where it may eventually flood the basement or cause structural issues. To keep your gutters in prime condition, they need to get an inspection at least once a year. However, many home maintenance professionals recommend a twice-yearly inspection during the fall and the following spring to make sure that the gutters are functioning for the snowy and rainy seasons. You might find obvious signs that your gutters need replacement, and it's easy to recognize the warning signs that you need to get your gutters replaced. If your gutters are a few decades old and haven't been touched in years, it's very possible that they'll need some significant work. Unless you're an experienced contractor, getting up onto the roof to handle repairs or deal with the gutters is usually something that the average homeowner should avoid. Incredible as it may seem, one of the most common causes of death in the home is falling off a ladder. The majority of ladder deaths occur when someone falls less than 10 feet. Ladder deaths over the past 10 years have tripled. Falls are the number-one cause of injury associated with ladders. Although superstition might keep you from walking underneath a ladder for fear of bad luck, don't ignore the dangers that exist from climbing one. If you feel hesitant to climb a ladder or unsure of your balance when climbing one, it's best to allow the professionals to handle the inspection and cleaning of your gutters. Do you want to know whether your home's gutters will last another season or whether you need them replaced? Contact JH Exteriors for a Free Estimate for your home or call us at 1-636-642-1928.